In "A Very Old Man with Enormous Wings," Gabriel Garcia Marquez describes unbelievable events in an earthy, straightforward manner. After a three-day rainstorm, husband and wife Pelayo and Elisenda discover the titular character: a decrepit man whose "huge buzzard wings, dirty and half-plucked, were forever entangled in the mud." Is he an angel? We’re not sure (but it seems like he might be). The couple locks the angel in their chicken coop. They also consult two local authorities—a wise neighbor woman and the parish priest, Father Gonzaga—about what to do with their unexpected visitor. Soon, however, news of the angel spreads and curiosity seekers descend upon the town. Like much of Garcia Marquez’s work, this story is part of a literary genre called "magical realism." As its name implies, magical realism is contemporary fiction whose narrative combines magical or fantastical elements with reality. Many writers of magical realism are of Latin American origin, including Garcia Marquez and Alejo Carpentier. Although Pelayo and Elisenda make a small fortune by charging five cents admission to see the "angel," their visitor’s fame is short-lived. When it’s revealed that he can’t help the invalids who visit him, another oddity—“a frightful tarantula the size of a ram and with the head of a sad maiden”—soon steals the spotlight. Once the crowds disperse, Pelayo and Elisenda use their money to build a nice house, and the aged, unsociable angel remains on their estate. Though he seems to grow weaker, he also becomes an inescapable presence for the couple and their young son. Yet one winter, after a dangerous illness, the angel begins growing fresh feathers on his wings. And one morning, he attempts to fly. From her kitchen, Elisenda watches as the angel tries to lift himself into the air, and keeps watching as he disappears over the sea. Granted, “A Very Old Man with Enormous Wings” does not have the unmistakable grounding in 20th-century history or politics that one finds in Garcia Marquez’s "One Hundred Years of Solitude," "The Autumn of the Patriarch," or "The General in his Labyrinth." But this short story does toy with fantasy and reality in a variety of ways. For example, the onslaught of crabs that begins the story is a bizarre, improbable occurrence—and yet, crabs are probably abundant in a seaside town like Pelayo and Elisenda’s. And in rather a different vein, the townspeople witness fantastic events, but they react with a credible blend of enthusiasm, superstition and eventual letdown. Over time, Garcia Marquez distinctive narrative voice—a voice that describes even outlandish events in a straightforward, credulous fashion. This storytelling mode was indebted, in part, to Garcia Marquez’s grandmother. His work is influenced by writers such as Franz Kafka and Jorge Luis Borges, who both conjured fictional worlds where shocking actions and surreal sights are nothing out of the ordinary. Though it's only a few pages long, "A Very Old Man with Enormous Wings" describes fairly large groups of people in considerable psychological detail. The shifting tastes of the townspeople, and the ideas of local authorities such as Father Gonzaga, are delivered quickly yet precisely. There are elements of Pelayo and Elisenda’s life that do not really change, such as the stench that surrounds the angel. These constants cast in sharper relief the important changes in Pelayo and Elisenda’s financial situation and family life. Throughout "A Very Old Man with Enormous Wings," Garcia Marquez emphasizes the many unflattering aspects of the angel’s appearance. 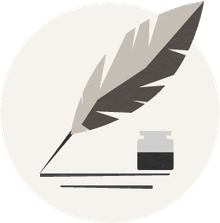 He mentions parasites on the angel’s wings, the food scraps that the townspeople throw at the angel, and finally the angel’s ungainly attempts at flight, which resemble "the risky flapping of a senile vulture." Yet the angel is, in a sense, a powerful and inspiring figure. He is still capable of inspiring wildly hopeful fantasies. The angel may be a symbol of fallen or degraded faith or a sign that even less-than-ideal manifestations of religion harbor profound power. Or this atypical angel could be Garcia Marquez’s way of exploring the disparity between legend and reality. Do you think that "A Very Old Man with Enormous Wings" is a work of magical realism? Are there any conventions of the genre that it doesn’t seem to obey? Is there another genre designation (such as children's literature) that might be more appropriate to this particular Garcia Marquez story? What religious message do you think this story is trying to convey? Is religion dead or discredited in the modern world, or does faith persist in unexpected or unconventional forms? 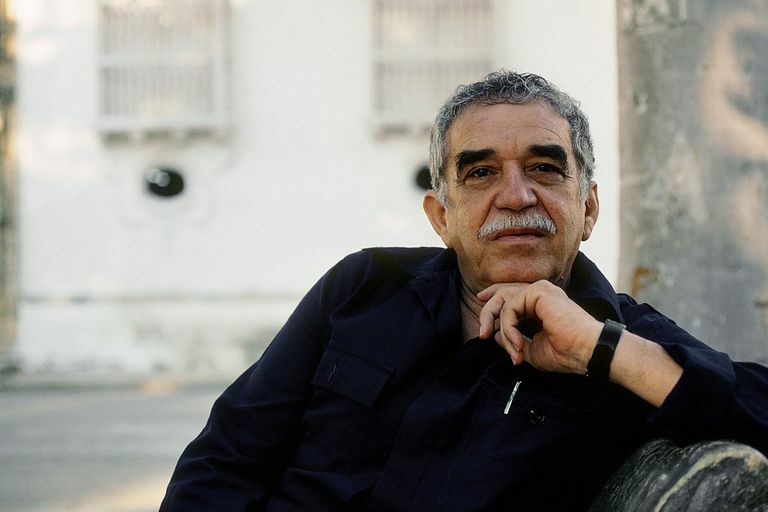 How would you characterize the community where Garcia Marquez’s story is set? Is there anything about the townspeople’s attitudes that is ambiguous or unclear? Why do you think Garcia Marquez used such vivid, gritty descriptions in this story? How do his descriptions affect your impression of the townspeople, and of the angel himself?